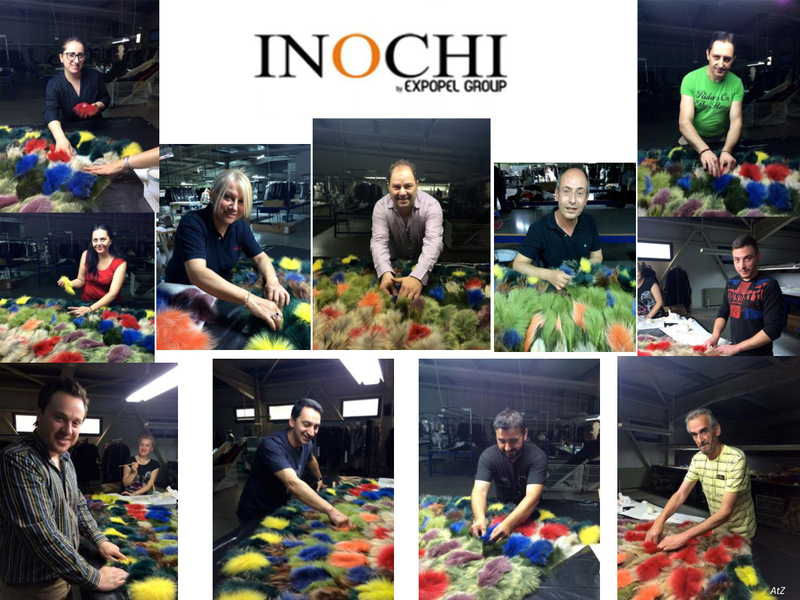 EXPOPEL is the company which manufactured FEA’s 2016 promo fur creation. Posted on September 15, 2015 Comments Off on EXPOPEL is the company which manufactured FEA’s 2016 promo fur creation. It took a thousand of fur feathers manufactured at EXPOPEL’S fur factory, a lot of work and fun to make the garment used at this year’s FEA-2016 promo ad campaign. All fur expert technicians working at the factory contributed to the process, in their own unique way, for professor’s Vasilis Kardasis inspiration to come into life! This was the third consecutive year that EXPOPEL company, owned by Mr. Vlachakis, supported Hellenic Association of Furriers and manufactured for free the garment that is being used at FEA’s promo ad campaign.